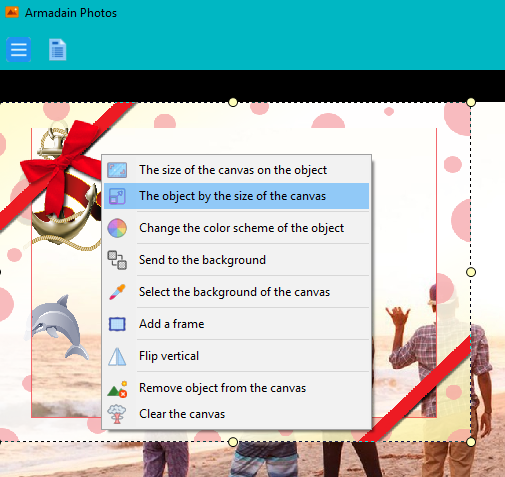 Spread the images on the canvas, select effects, photo frames, ornaments from the list. Many effects and settings are available to you. Click the Effects tab to go to the Clipboard lists. Just double-click to add clipart. Delete the image using the Delete key. Clicking the pair with the mouse button on the photo will show a list of additional functions. 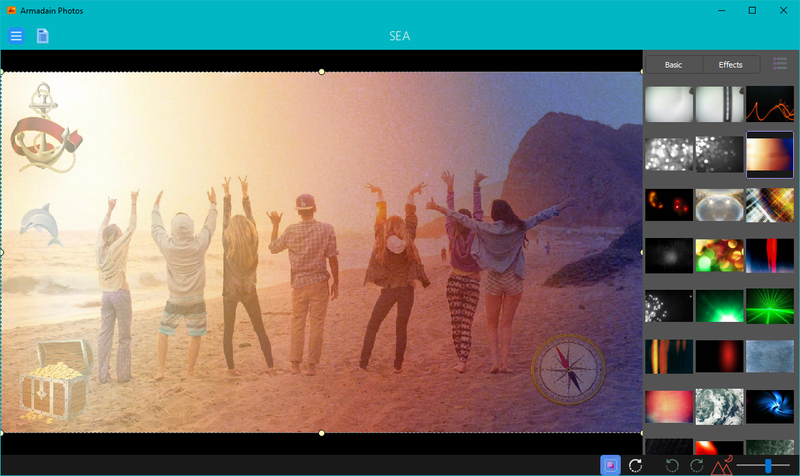 You can add frames to the photo, change the color of the canvas, change the color scale of the object and so on. The size of the frame and color is adjusted on the “Basic” tab. 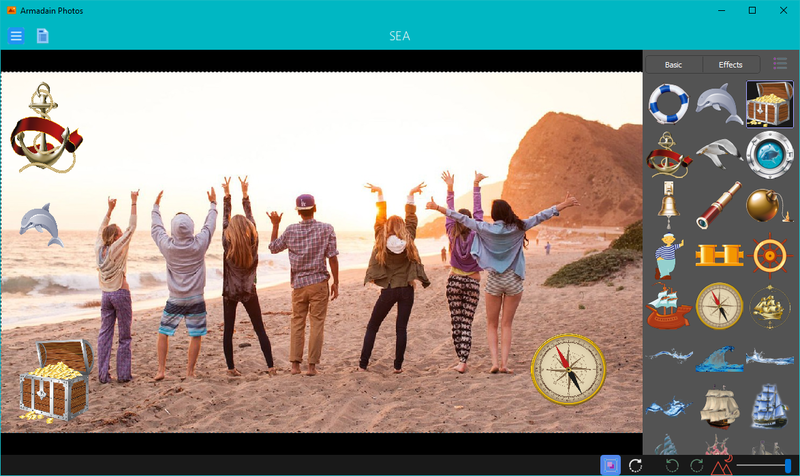 In the edit panel, you can adjust the size of the photo or clipart, rotate, adjust the transparency. You can add only one photo and add clipart and effects to it. 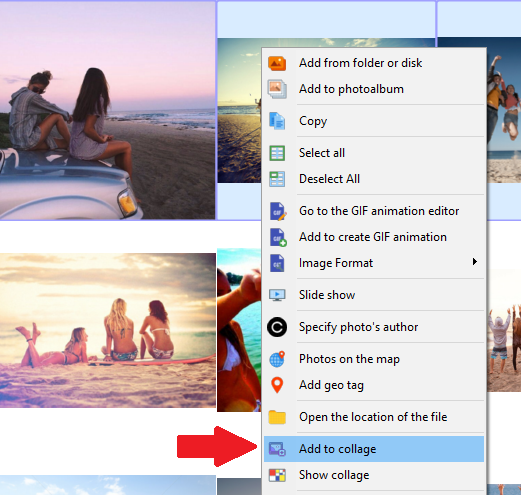 To do this, double-click on the photo in the photo album. 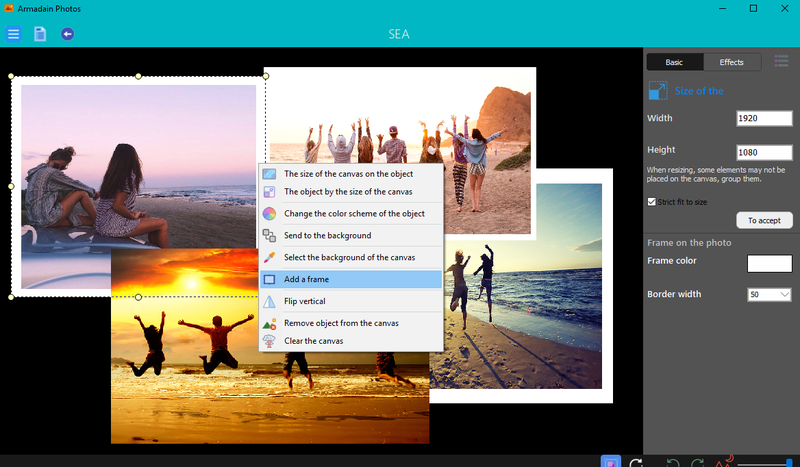 The photo opens for viewing, press the universally menu button and select Effects. 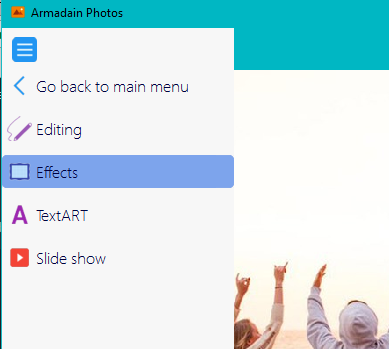 If you click on the “Effects” tab and select the Effects category, the selected effects will be added to the photo. Like any object, you can delete it by selecting it and pressing the Del key. To adjust the effect, use the transparency setting. You can change the location of objects relative to each other. To do this, simply double-click the left mouse button.